What is a Deed of Separation in Singapore and Do you need One? What exactly is a Deed of Separation? A Deed of Separation (sometimes called a Separation Deed) is a formal document that states the spouses’ wish to separate without formally filing for a divorce in Singapore. Clients frequently ask whether the Deed of Separation is absolutely necessary. This is never an easy question to answer and the common answer given (by lawyers anyway) is that it depends. A Deed of Separation is not absolutely necessary but can be very useful as a precursor to divorce. The Deed of Separation dicates the various terms that will govern the spouses’ relationship during the period of separation. Do note that there are also other types of legal documents that relate to divorce proceedings, such as prenuptial and postnuptial agreements. When would you need a Deed of Separation? You have an unhappy marriage but both parties want to give the marriage another chance. Both parties wish to have a “no-fault” divorce and wish to acknowledge the date of separation. You are unable to qualify for a divorce in Singapore as you have not reached crossed the time-bar of three years. You have not crossed the Minimum Occupancy Period for your HDB Flat and you don’t wish to return the HDB Flat (possibly at a loss). You have young children and would like for them to be older before contemplating divorce. What goes into a Deed of Separation? One of the main reasons spouses contemplate these deeds is to avoid the need for a contested divorce should the divorce actually materialize in the future. The Deed of Separation can be used in court for its adjudication on the ancillary matters of a divorce proceeding. Marriage agreements will be considered by the Singapore courts. 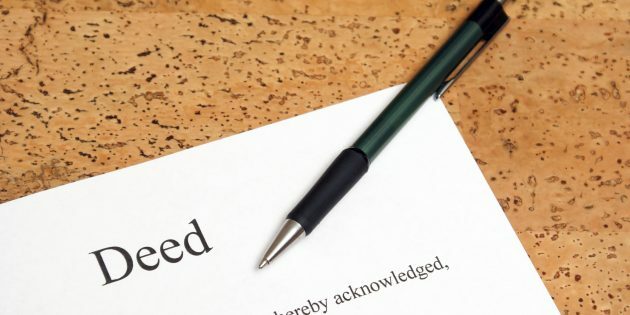 While the Singapore courts have the discretion to override these agreements, the contents of a Deed of Separation can assist a strong argument for the requisite ancillary matters as they were jointly decided by both spouses prior to the divorce. Custody, care and control of the children. Access arrangements for the parent who does not have care and control of the child. How the matrimonial property and assets will be divided. 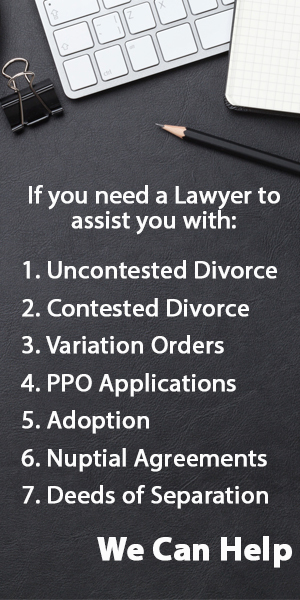 Hire us to draft your Deed of Separation. We answer all your queries within 24 hours.